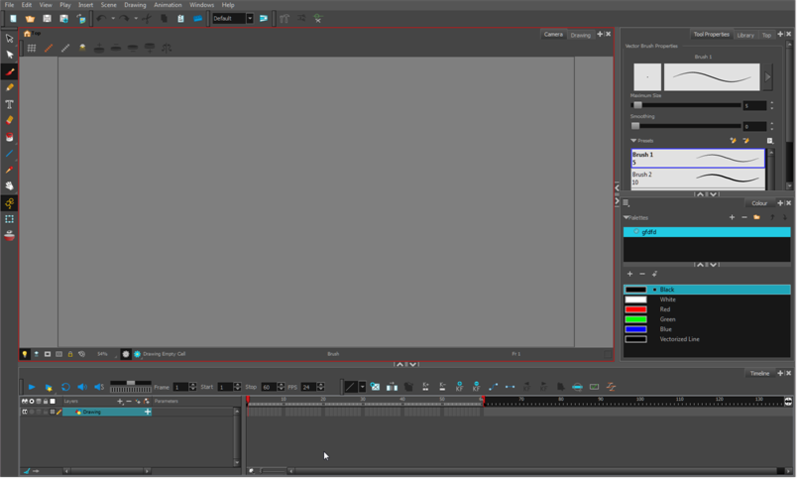 Knowing how to manage the Toon Boom Harmony interface helps you to work efficiently and organize your workspace conveniently. There are a series of views and toolbars you can use as you perform different operations. Usually, each person has a specific way of working in the interface and prefer particular views and toolbars. In this chapter, you will learn about the main elements of the interface and how to manage them. NOTE: To learn more about each view's properties, see the Reference guide. On Windows, the default high-dpi setting was disabled so that text and UI element are shown properly. The application will appear a bit blurry but the text and UI elements will be displayed properly. The previous behaviour is available by starting the application, Harmony[edition].exe, from the command line using the -enableHighDpi option. Replace the [edition] portion with the name of your edition (capitalized).